SCHWARTE JANSKY is synonymous with high-quality vehicles and measuring systems for processing sensitive liquids. We know exactly what is important in milk collection thanks to our decades of experience in the dairy industry: processing carefully when pumping, precise measurement readings and compact, low-weight components. Breweries and transporters of sensitive liquids such as manure or aggressive substances are reliant on our expertise. 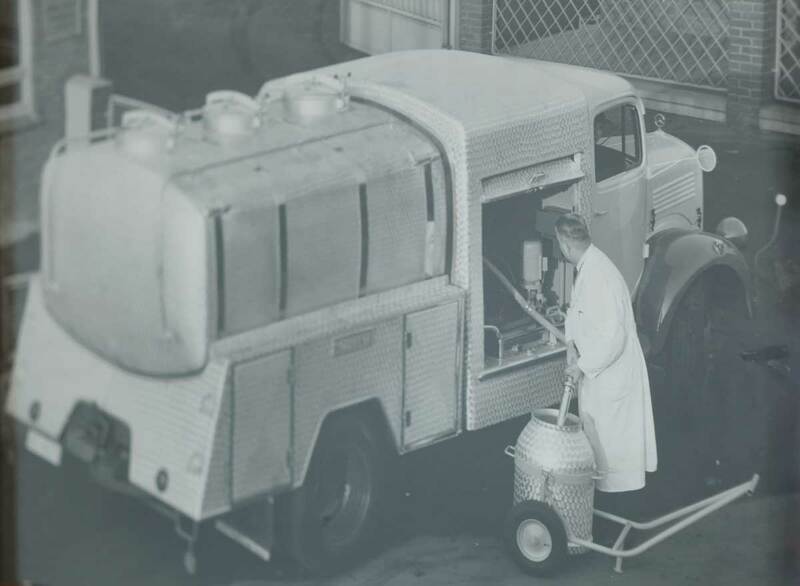 SCHWARTE JANSKY stands for the careful and hygienic transportation of liquid foods and other sensitive substances. We provide custom-made solutions for your requirements, whether mobile or stationary, a complete system or a single component. The SCHWARTE JANSKY service team will be happy both to assist and advise you, whether it be on site or via a 24-hour hour service hotline. We are your major partner for vehicle construction and milk collection technology as we are a market leader with a number of years of both experience and industry know-how. Do you need assistance urgently? Our service team will be by your side to provide help and advice 24 hours a day. We will support you during the error analysis meaning that idle times will remain as short as possible. The SCHWARTE JANSKY Vplus is the smallest air separator on the market. Its compactness makes it both lightweight and flexible, yet it has a particularly high pumping capacity. It is also compatible will all of the data acquisition systems throughout Europe! The SCHWARTE JANSKY AKKU is the ideal extra for your milk collection. Diesel engines are being replaced by a powerful battery capable of operating the milk pump. This means you not only save money but also protect the environment. Our products have a particularly long service life due to the proven SCHWARTE JANSKY quality. This is why we are able to offer both used vehicles and components.